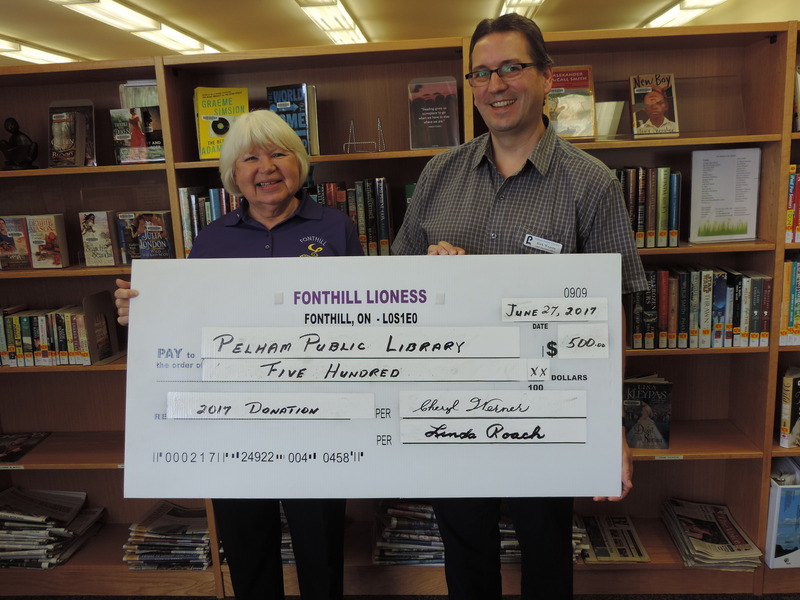 On June 27th, Fonthill Lioness President, Cheryl Werner presented a cheque for $500 to Kirk Weaver, Pelham Public Library. This donation will be used to purchase large print books. 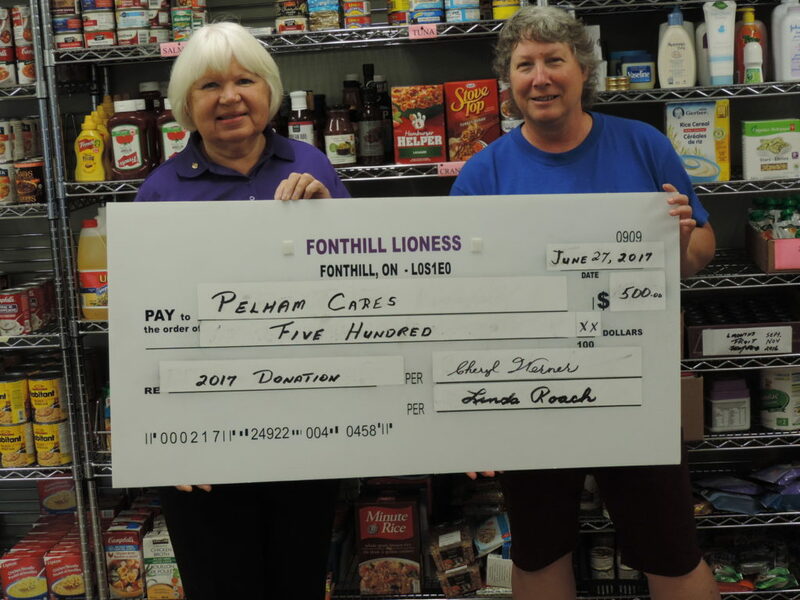 Fonthill Lioness President, Cheryl Werner presented a cheque for $500 to Beth Cotter, Pelham Cares. 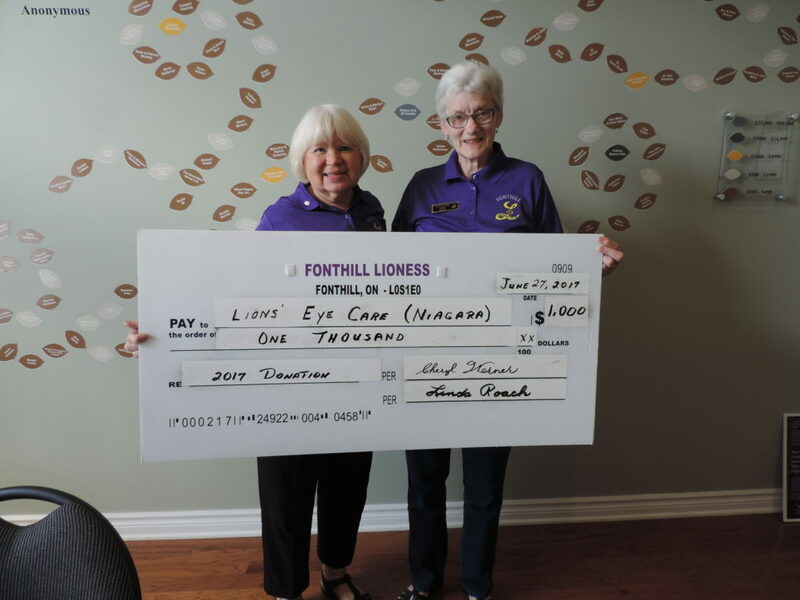 On June 27th, Fonthill Lioness President, Cheryl Werner presented a cheque for $1,000 to Lioness Linda Roach, Secretary, Lions’ Eye Care (Niagara). The money will be put towards the commitment to raise $200,00 over five years for the purchase of a new microscope for Ophthalmology in the Niagara Health System.